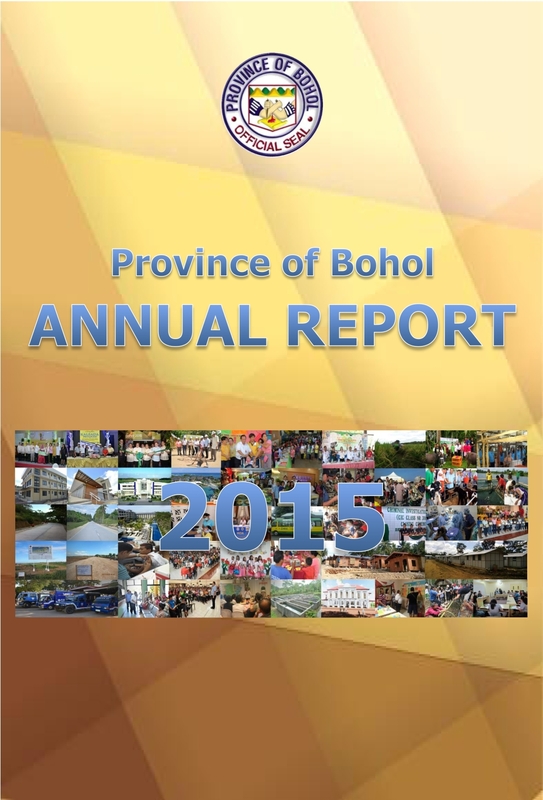 It is our pleasure to endorse this Annual Report for Calendar Year 2015 to our partner agencies, LGUs, private sector and civil society organizations, and other stakeholders in the Province of Bohol. These are words that we always live by, under our philosophy of shared leadership. As we continue to achieve BIG LEAPs in Bohol’s Inclusive Growth and Sustainable Development in 2016, the Year of the Red Fire Monkey, we reassure you that we will always remain true, against all odds, to our commitment to our dear Bohol and her people. Inclusive growth demands inclusive governance, nothing less. The Annual Report presents the details of accomplishments in the SOPA. One contrast, however: the SOPA summarized accomplishments over our last two terms; this Annual Report strictly covers accomplishments over the past calendar year. While the SOPA highlighted the most significant accomplishments, this Annual Report specifies the details and particulars of those highlights. 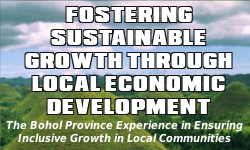 All the agencies in the Provincial Government of Bohol, and our partner national government agencies, have contributed their respective efforts to the accomplishment of our development agenda, summarized in our HEAT-IT Bohol HELPS LIFE towards the BIG LEAP development framework. While we do our best always to inspire Bohol and our beloved Boholanos, it is you, our dear constituents, who inspire us in turn to achieve what is possible, and even beyond what is deemed possible, for the greater good of the province. Connectivity, Convergence, shared leadership and partnership are foremost in our minds as your elected leaders, always and without remission. Padayon Bol-anon, Padayon Bohol!